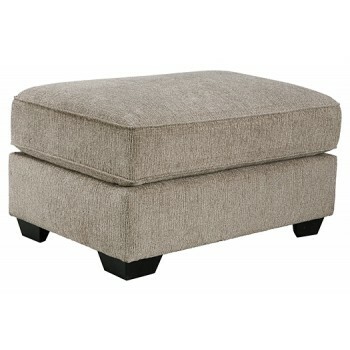 This oversized ottoman speaks to those drawn to fresh, contemporary style with richly neutral appeal. Oversized scale invites everyone to kick up their heels in comfort. Subtle and sophisticated, the designer upholstery with multi-tonal interest is a natural complement for so many color schemes.